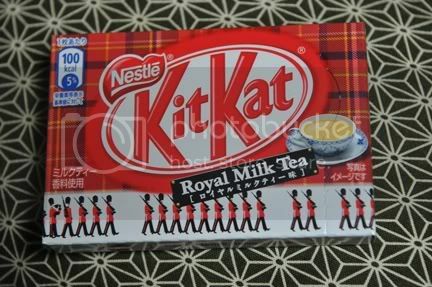 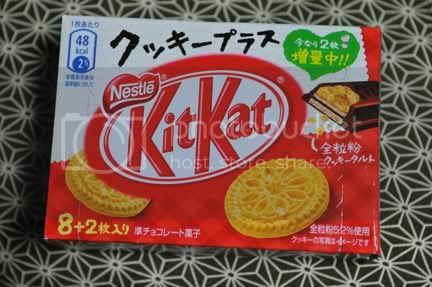 As students are going through their entrance (and exit) exams here in Japan, Kit Kat has stepped it up a notch with the whole "Give a Kit Kat for good luck" campaign. 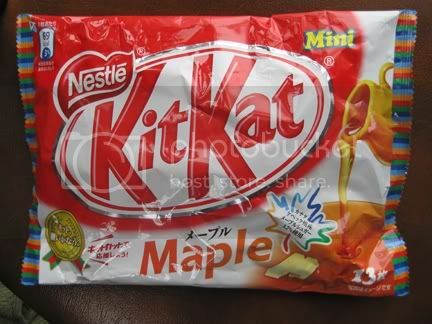 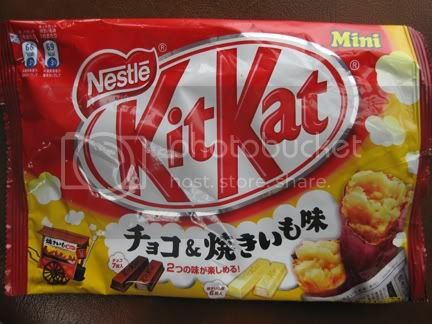 As you may or may not remember from my first post on Kit Kats, the candy title is similar to the Japanese phrase, "Kitto Katsu," which pretty much translates to "You will surely win" (basically, "good luck"). 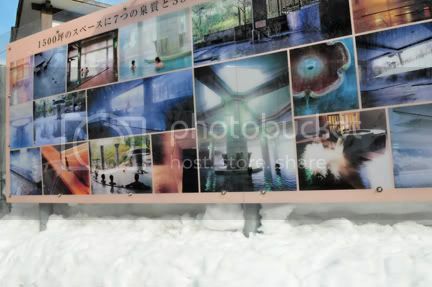 So with spring hopefully around the corner here in Hokkaido (as I type this, I'm staring outside at a horizontal snow blizzard), here are a few flavors to get you in a successful mood! 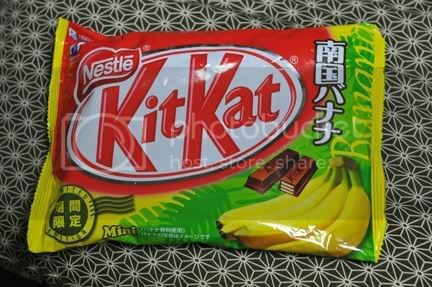 A flavor found in the stores a few weeks ago: dark chocolate banana...fondue, anyone? 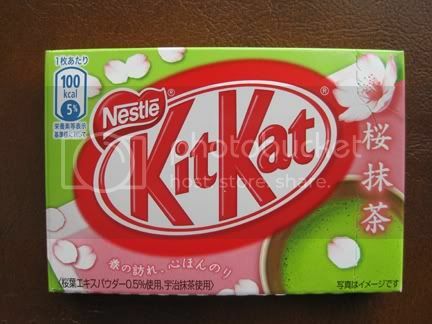 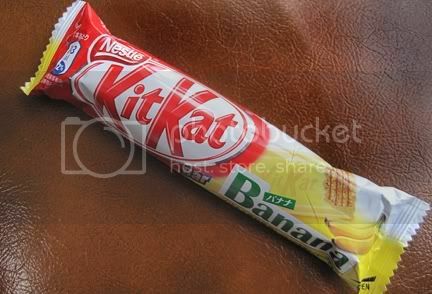 My Kit Kat posts can now be found in their own little archive! 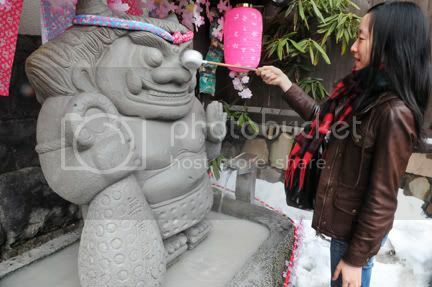 Check them out on the sidebar of this blog and happy (preemptive) Spring, everyone! 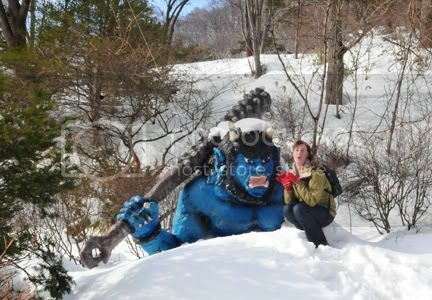 Anja is a very accomplished professional travel writer, and has written for such publications as Lonely Planet (website and guide and destination books), Sherman's Travel Magazine, Rough Guides, and Metro New York, just to name a few. 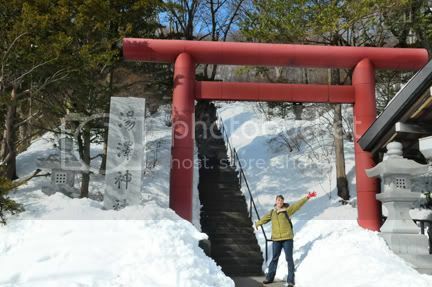 She has quite the following over at everthenomad.com, and pretty much lives the dream life of a freelance traveler and writer. 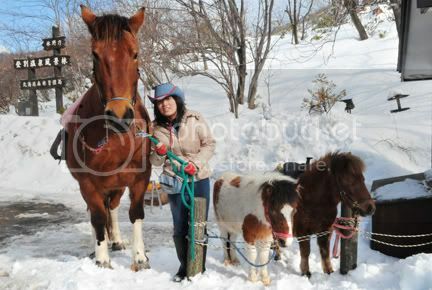 Needless to say, writing for her site was definitely a very cool experience. 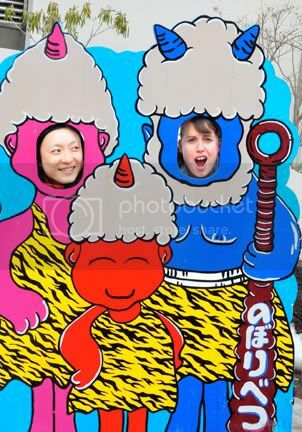 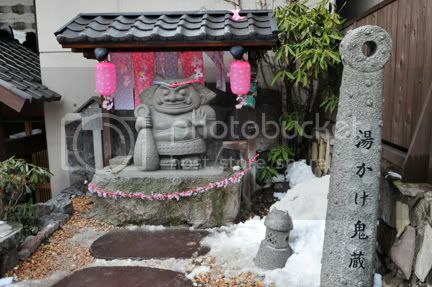 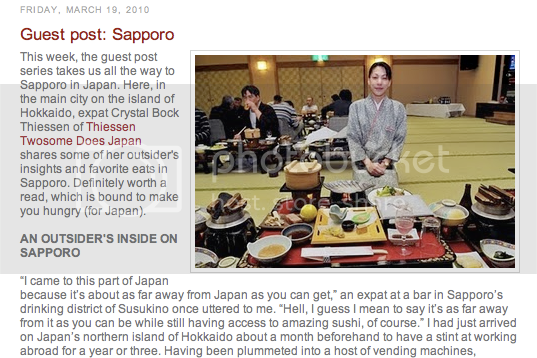 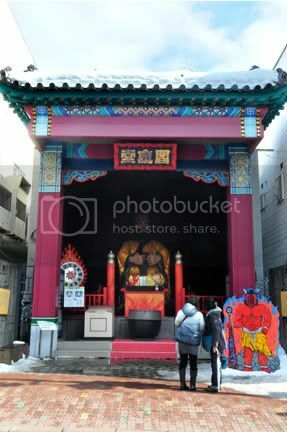 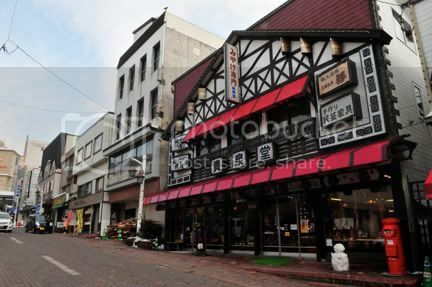 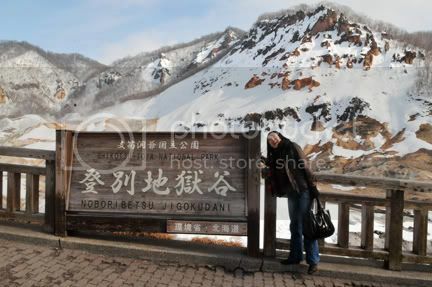 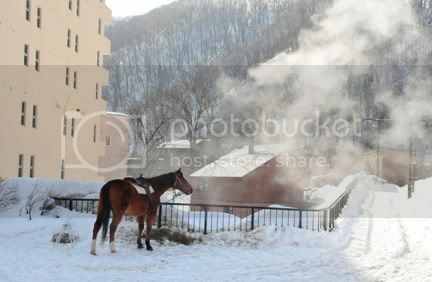 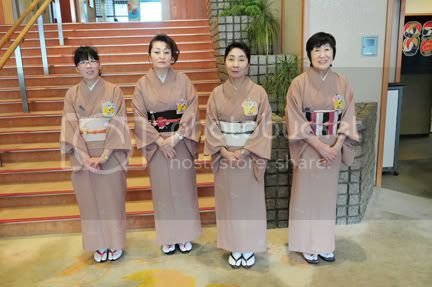 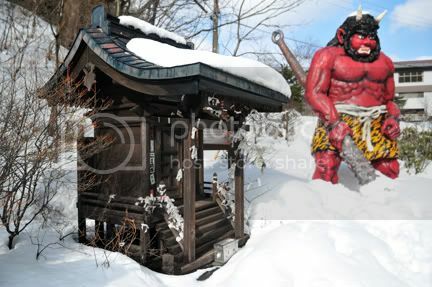 To read the rest of my guest post, "An Outsider's Inside of Sapporo, Japan," follow this link. 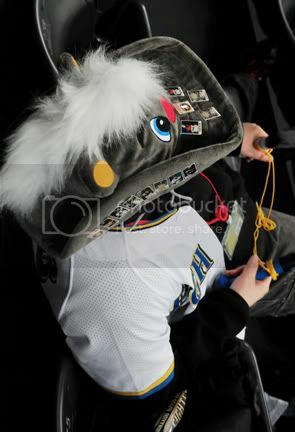 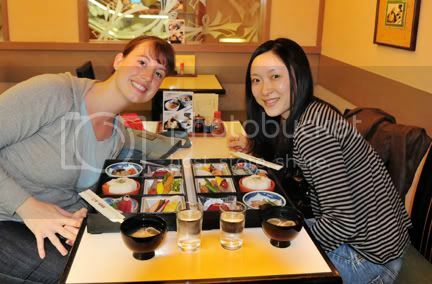 And thanks to Anja for this awesome opportunity! 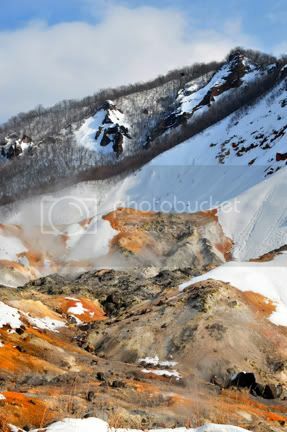 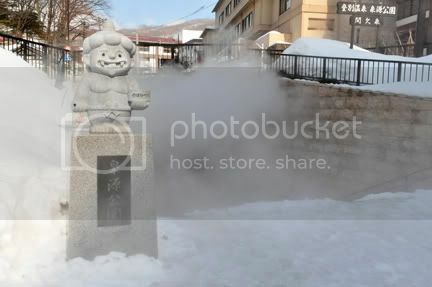 The best hot baths in town can be found at Dai-ichi Takimotokan Hotel (also visited last time as well), with about 20 baths utilizing 7 different mineral properties to make you a better you (everything from beautiful skin and diet control, to arthritis and heart problems). 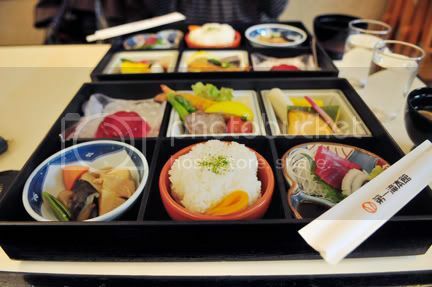 Our ticket from Sapporo included a colorful, delicious bento lunch as well...score! 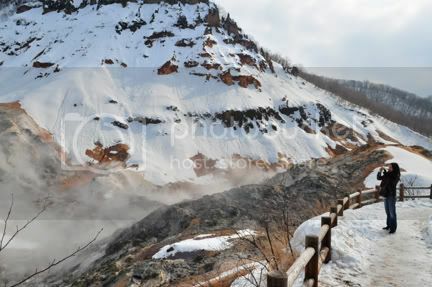 When you hop on a train back to the city with relaxed muscles, extra smooth skin, and the ever so slight fragrance of rotten eggs, you know its been a good day in Hokkaido. 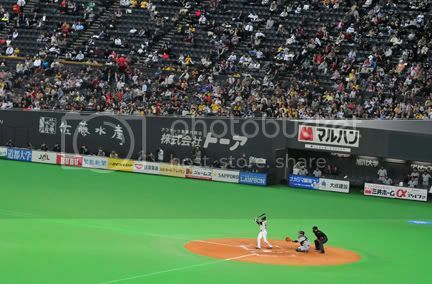 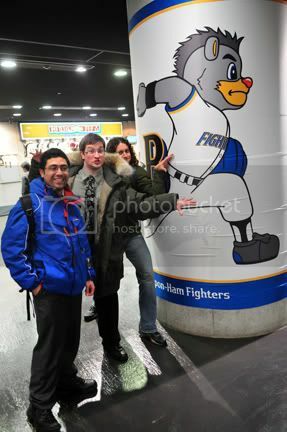 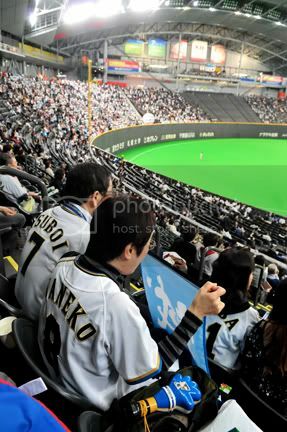 Thanks to some sweet hook-ups at work, Jacob scored us tickets to see the Hokkaido Nippon Ham Fighters (named out of sponsorship) this week at one of their pre-season games. 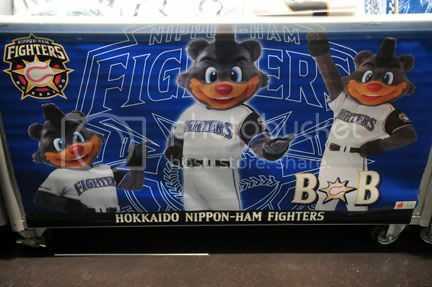 The Fighters are our own Sapporo-based team of the Japan Professional Baseball League and, for those of you needing a little trivia, were formally coached by the current manager of the Kansas City Royals, Trey Hillman. 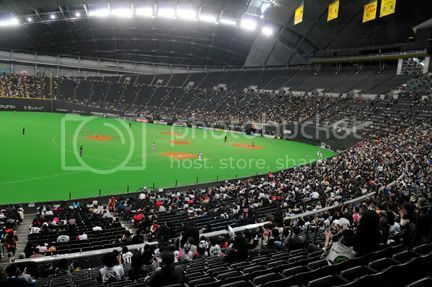 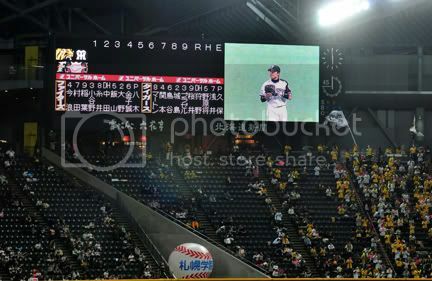 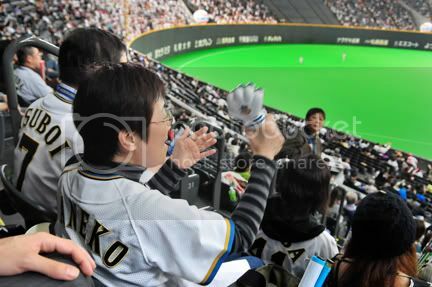 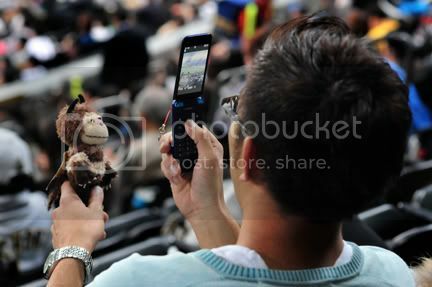 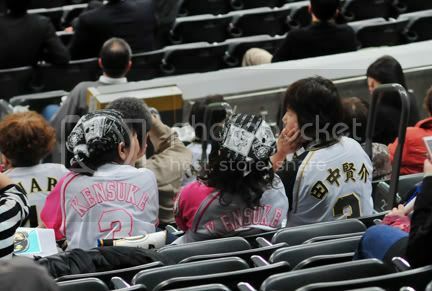 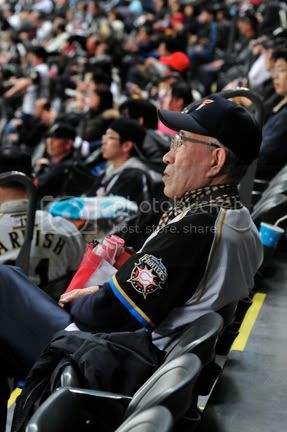 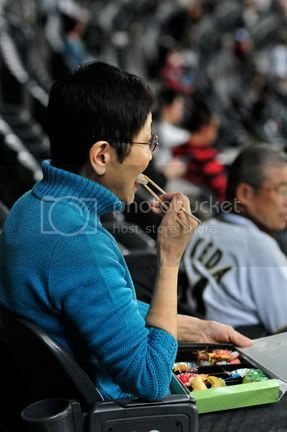 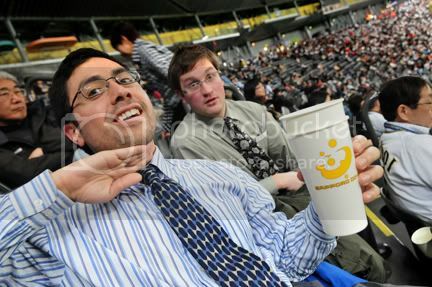 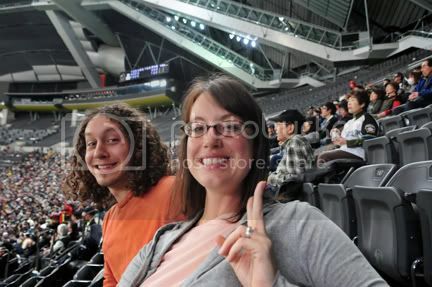 Baseball games are always more fun when they're free...or when they're Japanese...so this was the best of both worlds! 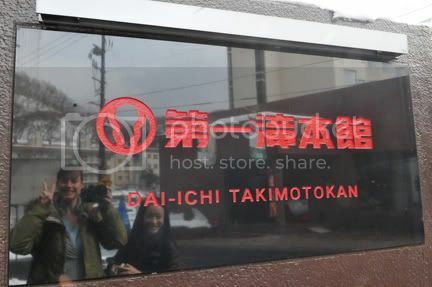 Highly recommended if you can get yourself out and enjoy this "All-Ameri--err, Japanese Pastime!"